Squats can be considered as one of the most important exercises for some really effective body building. This is all because of the fact that squats are probably well known for its amazing health benefits and are also known to induce strength to the buttocks, legs and also many of the other muscles that are renowned as a symbol of some really well toned body. However one mustn’t forget that squats can be performed anywhere irrespective of the fact that you visit gym daily or not. Also at times squats can be considered to be a sort of warm up exercise and it can also act well in the form of main course depending on the method of practice. Also there numerous types of squats and all of them are actually special in their own way. However, varying upon the interest and necessity it is always recommended for a person to practice some particular types of squats for his personal benefit on the whole. In this regard, this article features some of the types of these squats exercises and therefore, it is advisable for all the readers top take a note of these exercises and include it in your routine to experience some of the better benefits on the whole. 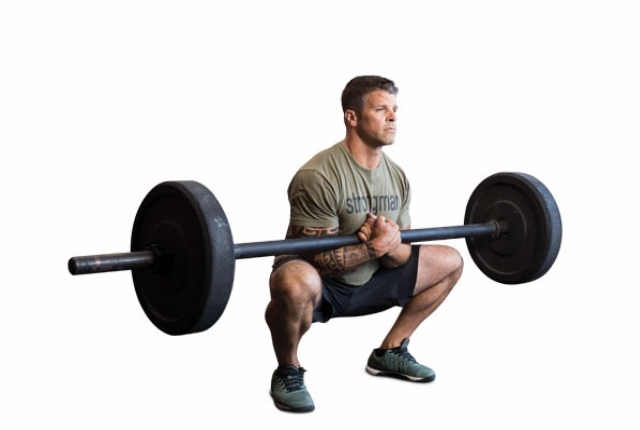 This first type of squat can be considered as one of the most complicated ones among all the available methods, yet it is widely used in practice keeping the beneficial effects of this exercise in mind. Also it isn’t quite easy to get habituated this type of exercise and all one needs here is a really strong elbow that can be highly assisting and makes the task a lot simpler than before. In this exercise, all one has to do is simply place a barbell at the hinge joint and lock it with your hands. 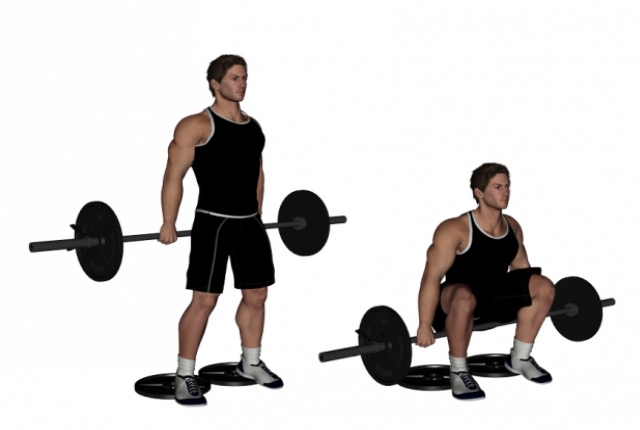 Then all one has to do is to perform the usual squats exercise with the weights placed at the same position. However it is highly recommended for a person to practice this exercise only under the supervision of a gym trainer, else there’s a lot of chance that you may get to end up hurting yourself. This is yet another most unconventional type of squats and the name itself unveils the fact that it is named after someone. Actually this type of exercise got its name from the great Olympic weight lifter Paul Anderson and this is because his weight lifting technique is quite closely related to this type of squats. Here all one has to do is simply take the barbell on the back of your head as shown in the figure and then perform squats like the usual. This exercise also needs some sort of supervision as there’s a fair chance of getting it wrong and therefore it is recommended for the person to practice this exercise under the supervision of a gym trainer to the maximum extent possible.Also this can burn a lot of calories and it would be better if it’s done during the initial stage of your workout session. One of the simplest exercise included in this list and for this exercise all one has to do is nothing but hold the barbell from the bottom of your body with the hands backwards as shown in the figure and then you have to proceed to squat like the usual. You have to be highly careful and cautious while performing this exercise. 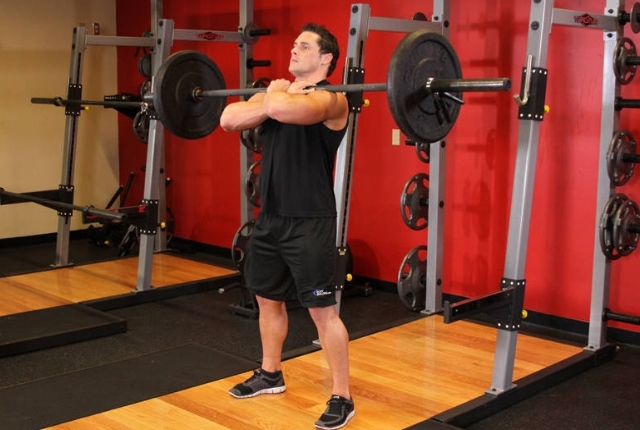 Until now, we have seen squats that are related to barbell lifting and now this type of squats come under the simplest version model where all you have to do is to place your fingers on the back of your head and also make the elbows in line with your body. Then proceed further to get indulged in the usual squats. This is an easy exercise and can be included in any of the warm up sessions before working out heavy. Another name of this type of squat is one legged squat and the name itself suggest that this has to be practiced with the help of a single leg. The simplest of all the squats where all you have to do is to simply stretch your hands forward to the shoulder level and then get indulged in the regular way. The most complicated exercise of this list and the picture itself unveils that it isn’t any sort of ordinary exercise to perform and it requires some thorough supervision. Here all you have to do is simply lift the barbell with the help of your two hands and then lift one of your legs and place it in such a way that it is absolutely the the part below the knee is perpendicular to the part above and also one may use any sort of support to make the leg to stand still as well. 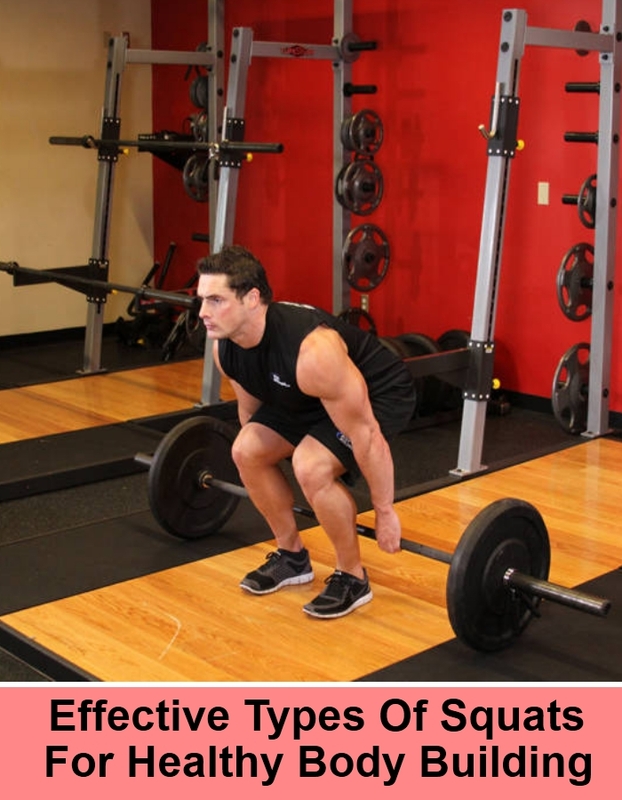 After this, you can easily proceed to perform squats like the usual manner and you may skip this type if you actually face any sort of difficulty as can also end up in hurting yourself. This type of squat requires a dumbbell and here one has to initially stand in a position that your legs are actually two feet apart and then take a dumbbell and hold it with the help of both of your hands. Then you may actually proceed to get involved in the exercise. Unlike the picture, the exercise is quite easy and this can only be inferred when you actually get to practice this exercise yourself. Also another stunning advantage of this exercise is that it doesn’t require any sort of gym and can easily be done at home. 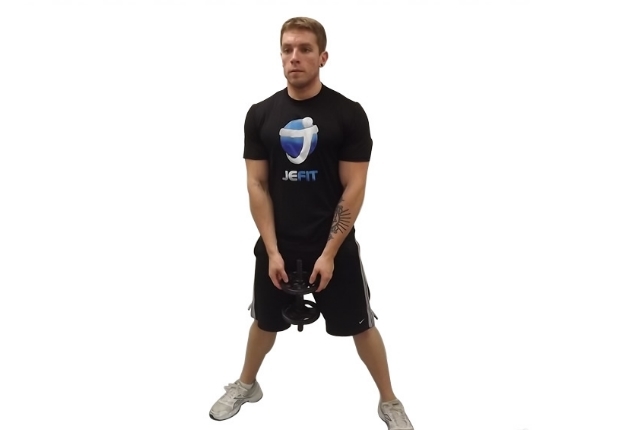 Another unconventional type of squats where you can easily do it with the help of a kettlebell and the method of practicing it is clearly depicted in the picture. Another hard variety of squats and the method where this is practiced with a barbell and the picture assists you the way of performing it on the whole. Purchase Viagra 100 mg best buy on http://howmed.net/viagra-sildenafil-canadian/ for ED treatment.